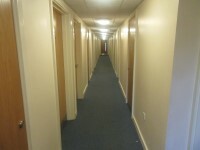 Services / facilities within the building include 180 Bedrooms and the Resident Life Coordinators Reception. You can use the AA route planner to plan your journey. In accordance with the university's sustainability policy, visitors are advised to travel to St Mary's by public transport wherever possible. St Mary's is located on Waldegrave Road (A309) to the south of Twickenham. If you are using a sat nav, the postcode for the campus is TW1 4SX. From Richmond Upon Thames you can catch the R68 towards Hampton Court from a bus stop just outside Richmond station. Get off at the Twickenham, King Street stop and then take the 33 towards Fulwell. Get off at the ‘St Mary's University’ stop, which is just outside of St Mary’s main reception. You can also take the 33 from Richmond, although the bus stop is a 5 minute walk from Richmond station on Sheen Road (Bus stop L). From Twickenham or Teddington the 33 heading towards Fulwell stops on Richmond Road and York Street in Twickenham. The 33 heading towards Hammersmith stops on Stanley Road and Broad Street (Teddington High Street) in Teddington. The nearest train station is Strawberry Hill which is 0.3 miles away. To get to the university from the station turn left when you exit, then walk past Premier Wine and the Post Office on your left and take the second road on your right, which is Waldegrave Gardens. 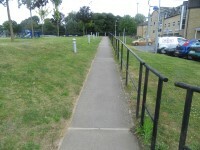 At the end of Waldegrave Gardens, turn right onto Waldegrave Road and St Mary's main reception is on your left. The nearest tube station is Richmond, which is 2.6 miles away. It is on the District and Overground Lines. Directions to St Mary's University. The Transport for London Website. The car park is located in front of De Marillac Hall. 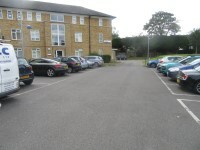 The nearest building(s) to this car park is/are De Marillac Hall, Doyle Hall, Graham Hall and Wiseman Hall. 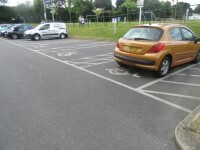 This car park can be used by Blue Badge holders and staff permit holders. 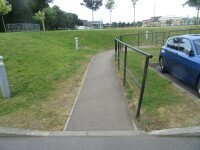 There is ramped/sloped or stepped access to the car park from the St Mary's Campus. This car park is not clearly signposted from the St Mary's Campus. The nearest designated bay is 18m (19yd 2ft) from the De Marillac Hall North. 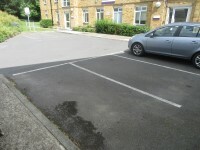 Parking on campus is available only to staff with a valid annual parking permit. 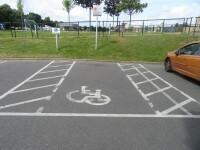 Parking charges apply to visitors section of the car park (by main reception, approximately 20 parking places). You are on Level Change (In Front of the Halls). Skip to the next section. There is/are 11 step(s) to the area/service. 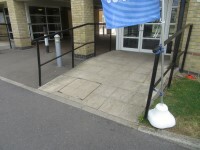 This level change is located between the halls and the main campus and needs to be overcome to access the halls from there. 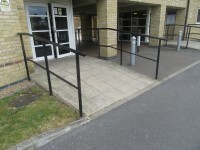 The car park is located between the level change and the halls. 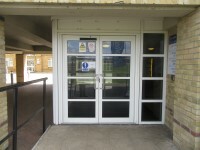 You are on Outside Access (North Hall). Skip to the next section. 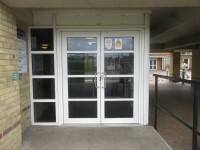 The first set of entrance doors has a width of 150cm when both are open. There is a similar entrance to De Marillac South which can be seen in photographs 4 and 5. This is located to the right of De Marillac North. You are on Reception (Resident Life Coordinators). Skip to the next section. The north entrance reception is located ahead as you enter. 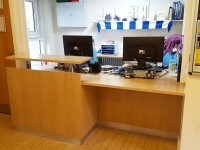 The desk is 2m (2yd 7in) from the north entrance. 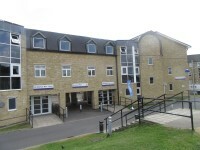 This reception is part of the University Student Services. The Resident Life Coordinators provide well being advice and support for all students, not just residents of this hall. 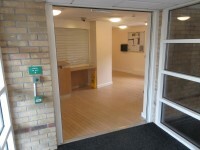 At the time of the survey, there was no bell or intercom at the entrance, so non-residents need to knock on the door or window to gain access. 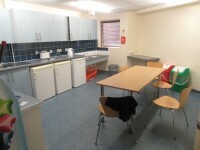 The Coordinators also provide support to the Halls of Residences Resident Mentors. 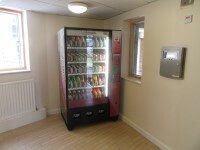 There is a vending machine located next to reception. 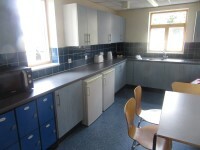 The staff room in South Block is shown in photograph 4. The door is push pad automatic. 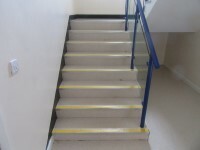 There is a similar set of stairs to the rear of De Marillac Hall North, as well as stairs in De Marillac Hall South. 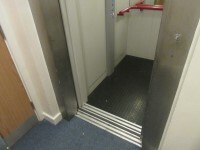 The lift is located at the rear of De Marillac North. 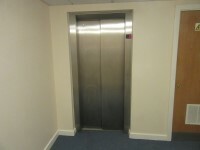 The lift is approximately 40m (43yd 2ft) from the North entrance. 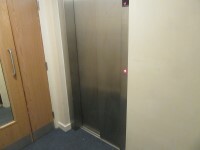 There is another lift located in De Marillac Hall South. 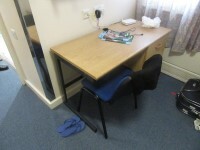 You are on Accommodation (Wheelchair Accessible Rooms). Skip to the next section. This information refers to Room 4. 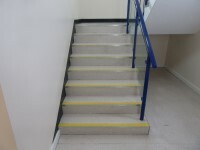 The accessible facilities are located in De Marillac North. The room number viewed was 4. The dimensions of the clear floor space are 150cm x 300cm (4ft 11in x 9ft 10in). 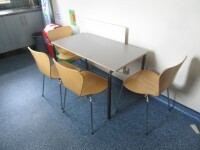 The measurement between the bed base and floor is 18cm (7in). 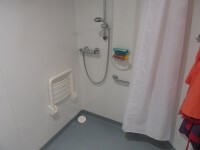 The dimensions of the bathroom are 230cm x 150cm (7ft 7in x 4ft 11in). The width of the door to the bathroom is 83cm (2ft 9in). The measurement of lateral transfer space is 143cm (4ft 8in). There are 4 rooms designated as being wheelchair accessible within De Marillac. 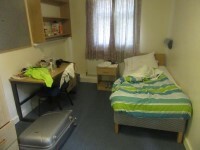 These are rooms 4, 5, 35 and 36. Rooms 4 and 5 have flashing alarms. You are on Accommodation (Silent Alarms). Skip to the next section. 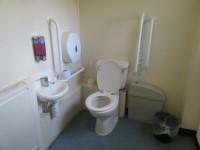 The establishment provides 3 accessible accommodation facilities with an ensuite and/or separate accessible bathroom. This information refers to 1. 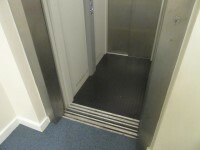 The width of the door to the room is 85cm (2ft 9in). The dimensions of the clear floor space are 190cm x 250cm (6ft 3in x 8ft 2in). 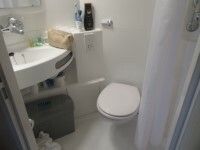 The dimensions of the bathroom are 150cm x 90cm (4ft 11in x 2ft 11in). 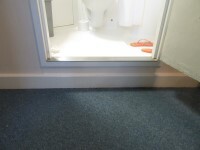 The width of the door to the bathroom is 60cm (1ft 12in). There is no shower seat . 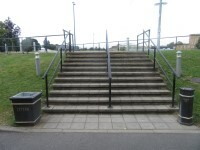 There are no handrails available. 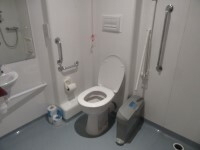 There is a deep step to access the bathroom (photograph 5). 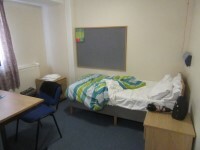 There are three rooms like this one within De Marillac. These are rooms 1, 2 & 3. 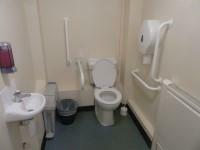 This accessible toilet is approximately 2m (2yd 7in) from the south entrance. This accessible toilet is located in front of you as you enter.